Book the M/V Plancius voyage departing on 20 November 2019 and get two free activities included - kayaking and camping. 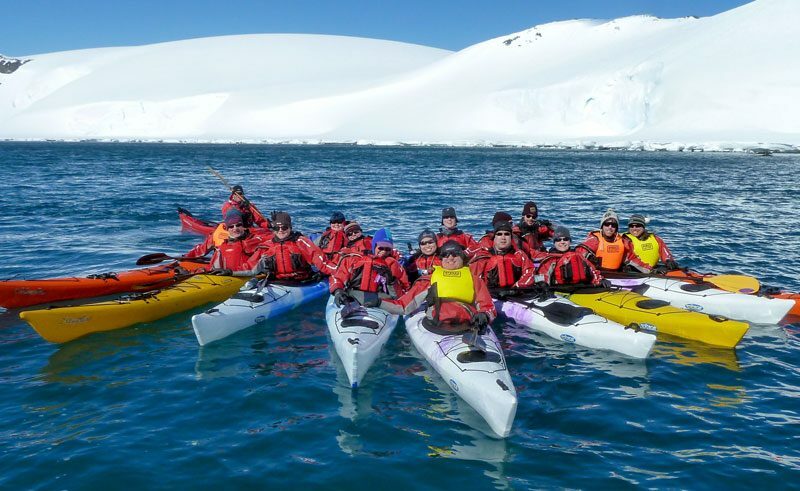 An exhilarating kayak excursion will take you near the White Continent’s dazzling glacial coastline, and an expedition-style camping trip will allow you to make your own snow dugout and sleep under the polar stars. Both activities will provide a hearty dose of prime polar adventure. PLUS, if you book the Twin Porthole cabin or Twin Window cabin, you will also receive a £450 per person discount. A Twin Porthole cabin normally starts from £6,636 per person, NOW from £6,150 per person. A Twin Porthole cabin normally starts from £7,364 per person, NOW from £5,955 per person. A Twin Porthole cabin normally starts from £9,682 per person, NOW from £8,455 per person. Availability is limited, so call us now to book!